Steam cook tomatoes, onion, garlic in a steamer for 6-8 minutes/until tender the skin of tomatoes starts peeling off. When the tomatoes are warm enough handle- peel off the skin and set aside. Place steamed tomatoes, onion, garlic, basil in a blender/food processor and blend to smooth puree. Now transfer the ground puree to a large saucepan, add vegetable broth and bring it to boil. Once it comes to boil, reduce the flame to medium and Add coconut milk, chilli flakes, and continue to cook for another 8-10 minutes. Once it reaches the desired consistency, season with ground pepper, salt and serve warm. Tomatoes can be roasted instead of steaming . For more creamy texture feel free to use fesh cream. Posted on November 13, 2015, in Indian and tagged basil soup recipes, easy soup recipes, economical soup. 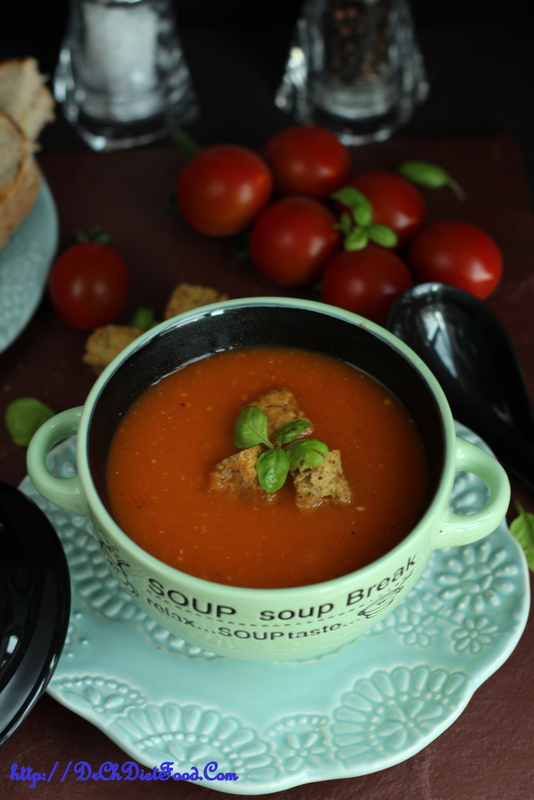 ., food photography, healthy no cream soup, low calorie soup, quick to make soup, tomato soup. Bookmark the permalink. 41 Comments. A beautiful bowl of soup Chitra, so good for you and delicious. A very delicious tasty clean tomato basil soup that i also love! Yummm! Nothing wrong with eating fats any more. New dietary advice in the States. Good looking soup, but I won’t be sparing the butter in it’s making. I can almost smell in in the pretty pictures. Am so glad to hear that…Await to know more about new dietary advise…. Very nice! I like the coconut milk and basil part especially. Your soup would be wonderful right now. It’s cold and very windy outside. Would love to try this. I bet steaming intensifies the flavor… yum!! Thank you Debbie…it was flavorsome and perfect for this weather…. glad you liked it. This is just what I want to have in this chilly weather. 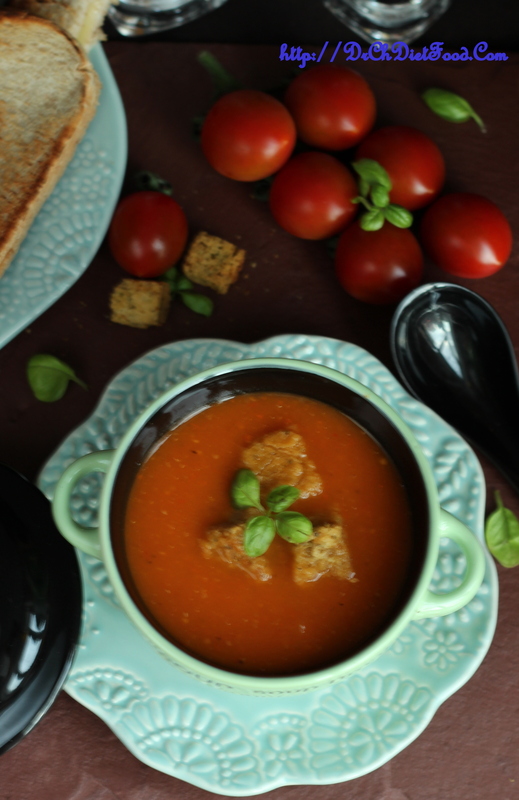 Cheese sandwich is a great side dish with this tomato-basil soup. what a delicious comfort soup …You steam cooked onions ? never heard of this before ..Such a new technique ..